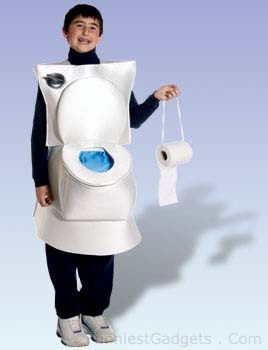 I’m sure that this Toilet costume will be a big hit when the next halloween arrives. Some may disagree this being funny.. but at least it’s unique! Ha! I love this one. I actually used this as one of my Top 10 Worst Halloween Costumes of 2006. Check them out, pretty funny.